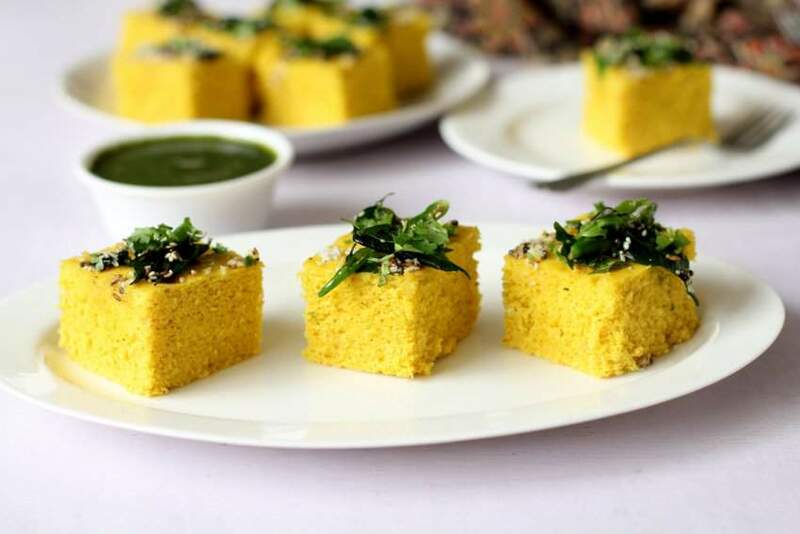 Dhokla recipe is very easy to make using minimal, everyday ingredients which include chickpea flour, yoghurt and Indian spices. 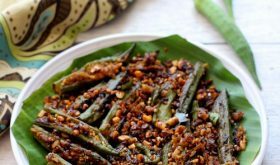 This savoury, steamed vegetarian snack is from the state of Gujarat. It wouldn’t be an exaggeration to categorise it as one of the healthiest and tasty snacks of India. Also known as khaman dhokla, it is a very popular street food throughout the country though it has its origins in the western part of India. Dhokla owes its popularity to an addictive flavour, visual appeal and health quotient. Low calorie and nutritious, it is light on the stomach yet filling. 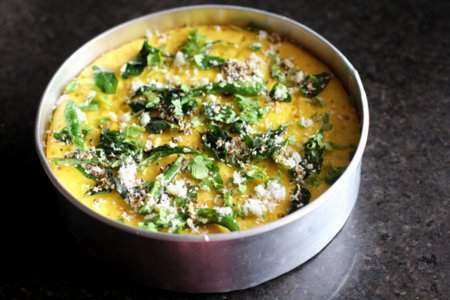 You can serve this power packed dhokla for breakfast, brunch, snack or dinner. With Holi around the corner, dhokla would make an apt festive breakfast food. 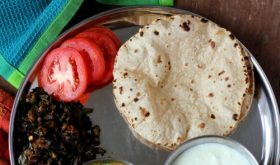 I am very fond of Gujarati food with khaman dhokla and khatta dhokla being the most favourite. It is similar to our South Indian steamed rice cake, Idli. The traditional, authentic dhokla recipe calls for soaking of chana dal or Bengal gram and grinding to a paste before fermenting. 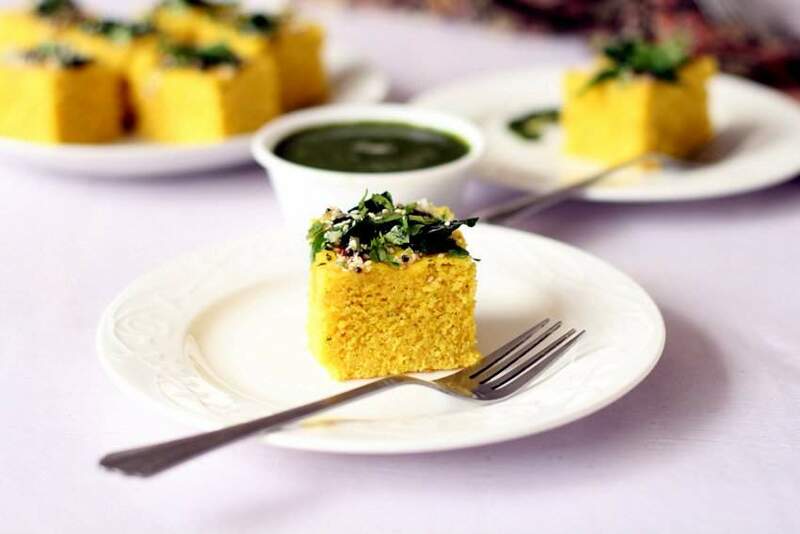 Khaman dhokla is prepared with gluten-free and protein rich chickpea flour (besan) or a mix of dals or lentils. An instant dhokla recipe that can be made in less than 30 minutes without fermentation. I love the versatility of this power packed, simple dhokla recipe allowing itself to endless variations. 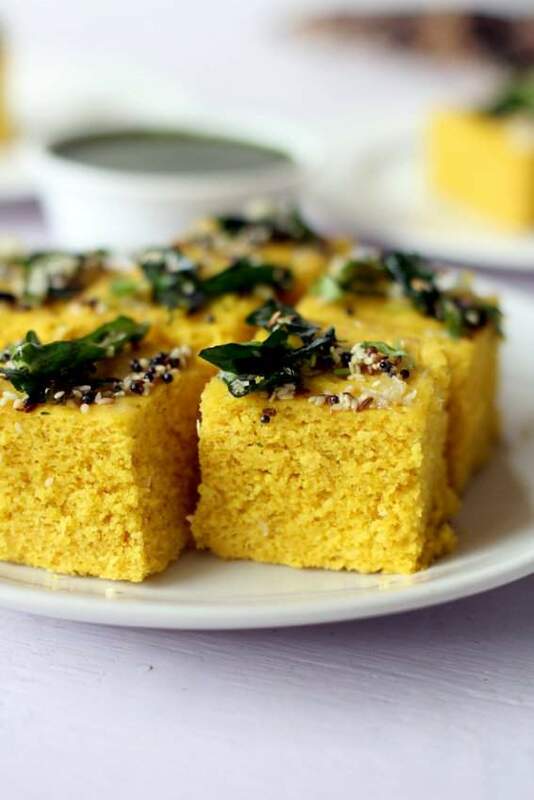 There are many variations to the authentic dhokla recipe in terms of the types of flour/lentils used, like khatta dhokla, mixed dal dhokla, poha dhokla etc. Besan ka dhokla or khaman dhokla is the most common among them. Once you know the basic recipe of dhokla it is just a matter of experimenting with different ingredients. 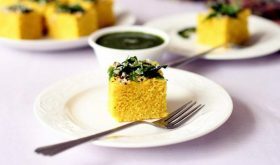 You can add spinach puree to boost up the nutrient profile and not to mention the beautiful green shade it will lend the finished dhokla. Throw in a few green peas if you like. You can take it any direction you want. The tempering of spices, lemon juice and sugar water give an incredible flavour and moistness to the dhokla. Dhokla can be served with green chutney, sweet chutney tomato ketchup or coconut chutney. The dhokla batter is a perfect blend of chickpea flour, sour yoghurt or curd, water, oil, ginger green chilli paste, asafoetida, turmeric powder, salt and Eno fruit salt. The most important thing while making the batter is to make the batter smooth, creamy and pourable similar to pancake batter. Ensure there are no lumps in the batter. I’d suggest you sieve the chickpea flour or besan, beat the batter for at least 2 minutes in one direction to allow aeration and make it lump free. Eno fruit salt and citric acid should be mixed into the beaten dhokla batter just before it is placed in the cooker or steamer. You can use a steamer or place the prepared batter in a pressure cooker without using the weight. While you are preparing the batter, heat the steamer or cooker with water. You should be able to place the prepared batter in a steamer which is hot and letting out steam. This helps in even cooking and rising of dhokla batter yielding a soft and spongy dhokla. An important factor which gives dhokla its heavenly flavour is the tempering of spices or tadka. The essential ingredients include aromatic curry leaves, mustard seeds and asafoetida. 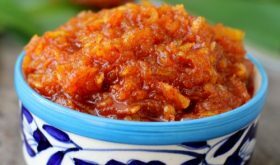 You can also add cumin seeds, sesame seeds, fresh coriander leaves and grated fresh coconut, though not essential, but recommended. 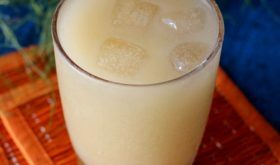 The turmeric powder adds a lovely yellow colour, lemon juice lends a subtle tang while sugar gives a hint of sweetness. A unique blend of sweet, savoury and tangy flavours. How about you? What’s your secret to soft and spongy dhokla? Do share in the comments below. Heat the cooker or water with 2 cups water. While the steam is building up in the cooker/steamer, prepare the dhokla batter. Grease a stainless steel round vessel or aluminium cake tin and set aside. 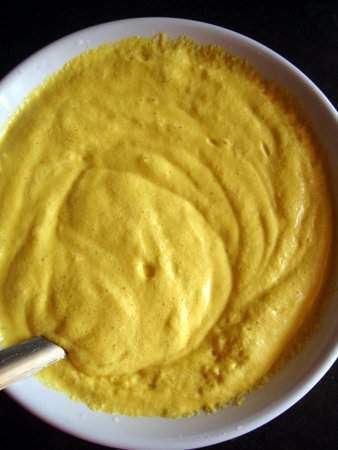 In a wide bowl, add the sieved chickpea flour, semolina, salt, turmeric powder, asafoetida, green chilli-ginger paste and oil. Mix well. Add yoghurt and mix to form a thick mixture. Slowly adding water, a little at a time, to form a smooth, thick, pouring consistency batter. Beat the batter in one direction for 2 minutes. Mix a tsp of water in Eno salt and citric acid and mix and immediately add to the batter and mix with a light hand. It will increase in volume and become frothy. 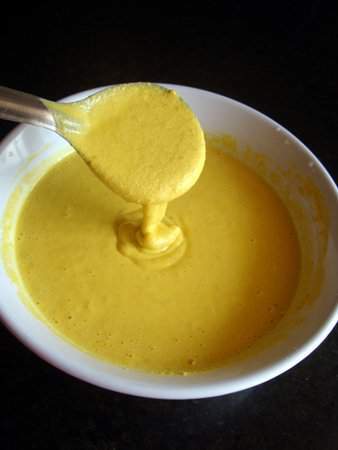 Immediately pour this batter into the greased tin and place in the cooker or steamer. Place lid and steam on a medium flame for 12 to 14 minutes. Check with a toothpick by pricking in the centre of the dhokla. If it comes out clean, the dhokla is cooked. Turn off heat, remove the vessel from the cooker and cool slightly. In a pan, add water and sugar and bring to a boil. Turn off the flame. Add lemon juice and mix well. Pour this over the dhokla. Pour this tempering all over the dhokla. Garnish with fresh coriander leaves and grated fresh coconut. 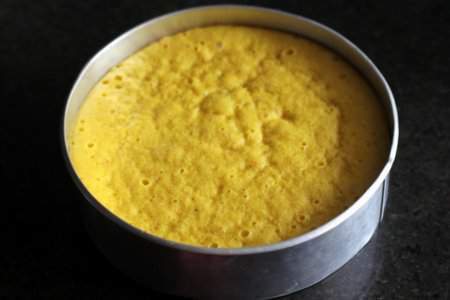 Let the dhokla rest for at least 20 minutes for the flavours to be absorbed. 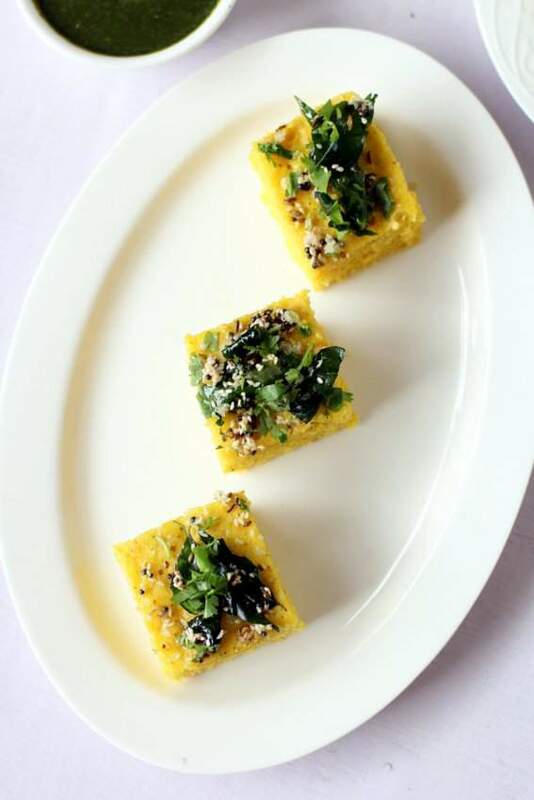 Only after the dhokla has cooled down completely, cut into square pieces and place on a serving tray. 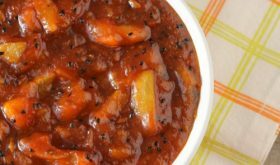 Serve with green chutney or tomato ketchup. You can use buttermilk instead of curd. If you do not have Eno salt on hand, increase citric acid. I have not had much success with baking soda and lemon juice. Eno fruit salt and citric acid are best. Do not add too much water. If the batter is loose, add some semolina. Cut the dhokla into pieces only after it is completely cooled down, or it might crumble. Do not overcook the dhokla as it turn hard and lumpy. Try substituting sour cream for half the yogurt some time. It’s good! This is a great looking recipe.